Should You Buy a Home For Sale By Owner? What kind of homeowners forego the help of a real estate agent and decide to sell their homes on their own? We could say shrewd homeowners, homeowners who dabble in real estate or homeowners with extra time on their hands, but honestly, it’s usually cheap people. The kind who use their HVAC only in an emergency and keep a brick in the toilet to save 2 cents on their water bill. They don’t want to pay a commission. This is understandable, and if they have the time and the dedication to put into selling their home on their own, well, good for them! As a buyer, however, you must beware. Of course you must always beware as a buyer of anything, but a home is usually the most expensive purchase we make in our lifetimes, and that is why we must be extra careful. Entering into negotiations for a home without a real estate agent is incredibly risky. You may think you have negotiated a good price for the home, but how do you even know? The cost may fit your budget, but it may be 20 percent higher than the price of the average home in that neighborhood. And for that matter, how do you know the person claiming to be the owner even owns the property? What if there’s a lien on it? Do you know how to do a title search? When you make an offer on a home, you usually must put a certain sum — anywhere from 1 percent to 10 percent of the asking price — in escrow to show you are in earnest while negotiations are underway and inspections are being done. This money is usually held by the real estate broker. 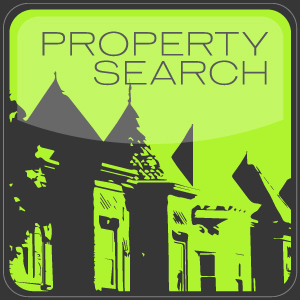 Who holds it in an FSBO? Do you trust the stranger who is the homeowner with tens of thousands of your dollars? And in many instances, homeowners are legally allowed to keep this money if you don’t buy the house. So you definitely should have a real estate agent looking out for your best interests. Besides, as a buyer, you don’t pay the real estate agent anyway. 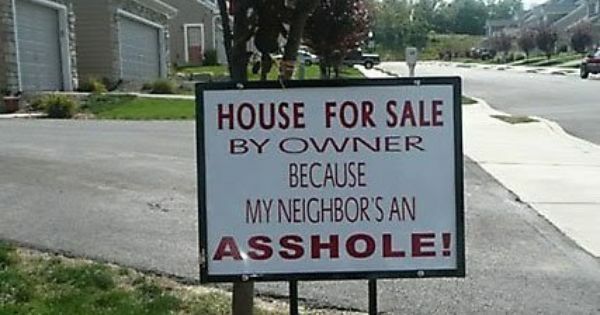 That’s where things can get tricky with an FSBO. Some of these people are not going to want to pay your real estate agent’s commission, although that is historically how transactions are done. If you get a holdout owner like this on a transaction, you’ll have to ask yourself if you love the house enough to pay the commission for the owner. According to a Wall Street Journal story, FSBO owners are not just cheap, they tend to believe their houses are worth much more than a real estate agent would. These people are blind to all the flaws in their homes and see them through rose-colored glasses. They’re also blind to market trends. For instance, if buyers looking in downtown D.C. tend to prefer an low maintenance landscape because they don’t have time to care for copious plantings, FSBO owners may not be able to understand this concept and insist their property is worth more rather than less because of its many varieties of high-maintenance rose bushes. Their house is like their baby — priceless. Many of us feel the same way about our homes, and that is why we hire someone else to negotiate on our behalf. We know we’d do a lousy job. 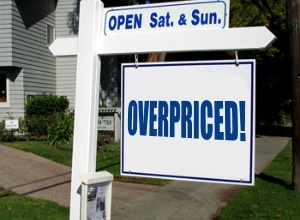 It’s possible to get a good deal on an FSBO. It’s also possible to get taken, to lose money and to get stuck with a house you don’t want. The only way to be sure is to hire an expert. Protect yourself. Hire a Realtor®.